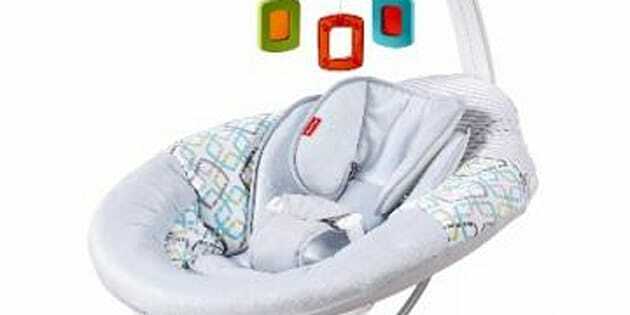 Fisher-Price is recalling motorized infant seats due to a fire hazard. WASHINGTON — Fisher-Price is voluntarily recalling about 65,000 motorized infant seats because of risk of a fire hazard. The Consumer Product Safety Commission says it has received three dozen reports of Soothing Motions Seats overheating and one report of a fire contained in the motor housing. The government agency says no injuries have been reported. The CPSC says the seats were sold by Amazon, Walmart, Toys R US and other retailers from November 2015 to this month. About 63,000 of the seats were sold in the U.S. The remaining 2,000 were sold in Canada. The recall covers seats with model numbers CMR35, CMR36, CMR37, DYH22 and CMR39. Consumers are instructed to contact Fisher-Price for a full refund.